Since its beginning in 1982 Regal Air has maintained an unsurpassed safety record, and strives every day to keep it that way. Pilot and Passenger safety are always the first concern, and we will always do what is in the best interest of those on board our aircraft. Diligent maintenance, training, weight and balance, and weather observation are just a few of the many things Regal Air’s staff does on a daily basis to ensure that your flight is a safe one. All aircraft are equipped with safety gear including life vests, first aid kits, ELTs and fire extinguishers. Regal Air is proud to announce that all of our aircraft are equipped with a flight-tracking device called Spidertracks. Spidertracks is a form of AFF (Automated Flight Following) that gives our dispatch office real time flight information on such as location, altitude, and speed of all of our aircraft in the skies all the time. We are proud to be the only flight operator on Lake Hood utilizing such technology. All of Regal Air’s aircraft are equipped with the new 406 ELTs. This technology is not yet mandatory, but is highly recommended, and Regal Air has implemented them in all of our aircraft to ensure the highest level of safety for our customers and crew. 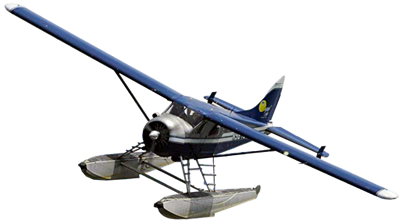 Our pilot crew consists of some of the most experienced pilots in Alaska. We have a rigorous hiring process that requires a great amount of experience before pilots may be considered for a position at Regal Air. Our pilots are on a fixed schedule, ensuring the proper rest periods to keep them at the peak of their performance. We have annual training courses which all Regal Air pilots must attend, to ensure we have the most up to date safety systems in place, our passengers safety is their number 1 goal. Our FAA approved maintenance program adheres to all the latest safety regulations, ensuring our aircraft are always running at their best. We take aircraft maintenance very seriously and take every effort to go above and beyond the scheduled programs. We want our customers to know that they are flying on the safest aircraft around. We are also proud of our ground crew and recognize that they are the first line of defense in the safety program. With a well trained and organized office structure they ensure fuel, weather, weight loads, and other safety of flight factors are screened before the pilots do there required checks. Giving all safety sensitive functions a double check, they keep our aircraft and pilots up to date with the most organized and current information.